Florida seemingly has been at one environmental crossroad or another since Ponce de Leon first stepped foot on the peninsula more than five centuries ago and gave it the name, Land of Flowers. Ponce got it right. The original Floridians, like the Tequesta and the Seminoles, who relied on Florida’s wild resources for both food and medicine, certainly got it right. They understood and respected Florida’s natural beauty and bounty. The rest of us, well, let’s just say we’ve been a mixed bag at best. We’ve hunted a long list of species — particularly birds — to the point of extinction, only turning back when the damage we were doing became all too obvious. We’ve imported exotic plants and animals, some with good intentions, and then let them loose into the wild where they threaten the delicate balance of life for many native species. We’ve sought to develop every acre possible, saw the Everglades and related ecosystems as nuisances that needed to be eliminated in the name of progress. And in the process, nearly destroyed one of our greatest natural resources. Fortunately, Florida has also had its advocates, people willing to fight back to defend her fragile ecosystems. Sir Lancelot Jones, Marjorie Stoneman Douglas and J.N. “Ding” Darling are three who come to mind. 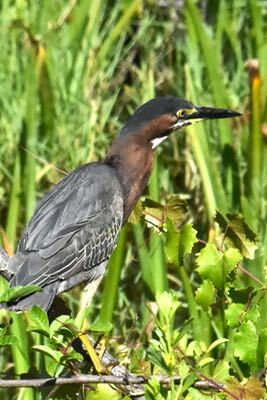 And we must mention the voters of Palm Beach County who over the years have imposed taxes on themselves in order to preserve thousands of acres of critical habitat in Palm Beach County and the millions statewide who voted two years ago to approve Amendment 1. We launched Wild South Florida four years ago as a means of advocating for the environment by providing honest, accurate information about the plants and animals that inhabit our region. We’ve come to appreciate the importance of the natural heritage that we have inherited, and hopefully will pass on to future generations. 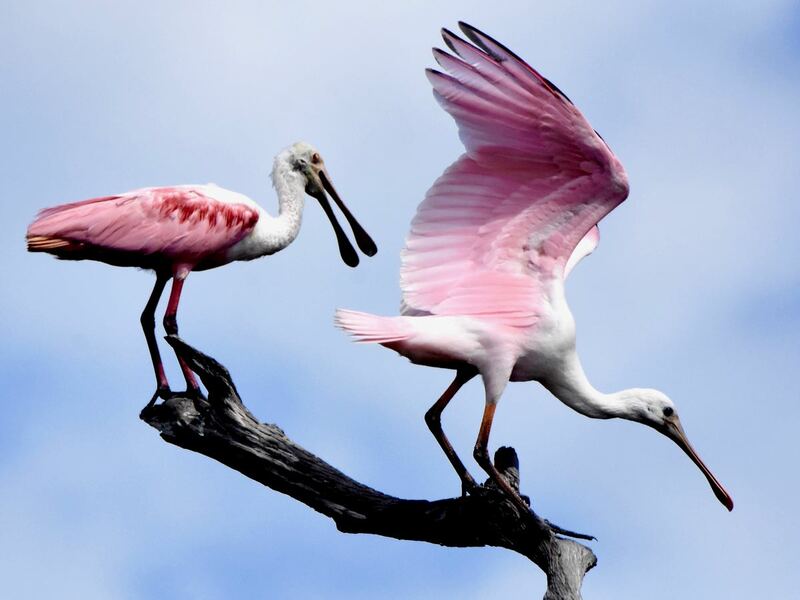 They deserve to see the beauty of a pair roseate spoonbills dancing in the sky, the ancient wonder of a gopher tortoise clambering across the scrub or the brilliant hues of skyblue lupine dazzling in the springtime sun. We have been privileged to see such sights. So with that, we here at Wild South Florida, take the next step in the evolution of our website by introducing The Backcountry Blog. It will be a vehicle to share information about what’s happening in the natural world, places we’ve visited, photographs we’ve taken, tidbits we’ve picked up, plus links on stories we find interesting or important. It’s a place where we can express our opinions on environmental issues of the day, and hopefully you will add your own voice. A little bit about me: I grew up in Pittsburgh but my mother is from Hollywood. Every summer Mom and Dad packed the five of us in the family car and headed south to Florida for a week’s vacation, and that’s how my appreciation of the Sunshine State began. Florida was paradise to my grandparents: there was no other place on God’s Good Earth where they would have rather lived and raised their three kids, my mother and her two brothers. I moved here in 1987 to work in South Florida’s vibrant newspaper industry. Wild South Florida and The Backcountry Blog are dedicated to my beloved grandparents, Virgie and Rufus, to my uncles, Kenny and the late Rufus Jr. (always Uncle Junior) and of course, my mother Annie, still a proud Floridian even though life has taken her elsewhere. Roseate spoonbills "dancing in the sky" at Green Cay Nature Center.